Students may attend a Discovery Afternoon on any day they are enrolled for the morning program. Afternoons must be identified at the beginning of the school year. 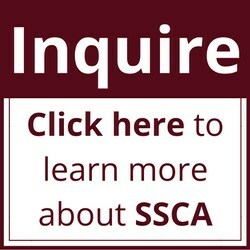 SSCA uses the FACTS Tuition Payment service for tuition payments. Click here to visit their website. 70% of students at SSCA receive financial assistance, and our financial aid program is critical in making our educational program accessible for families from diverse circumstances. The online financial aid application for the 2018-2019 school year will be available on February 1, 2019. Families can apply for financial aid by applying online at factstuitionaid.com. Financial aid varies each year and is awarded, as available, based on need. Students who apply to South Shore Christian Academy by February 1, 2019 take precedence in the distribution of aid.